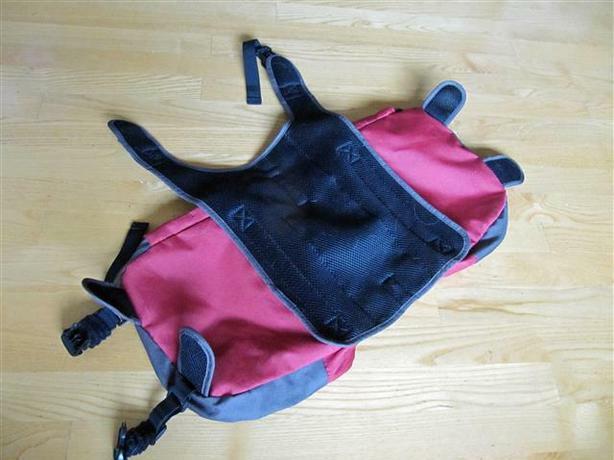 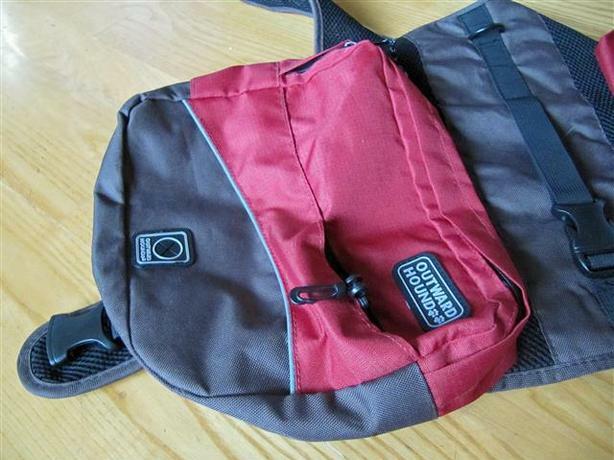 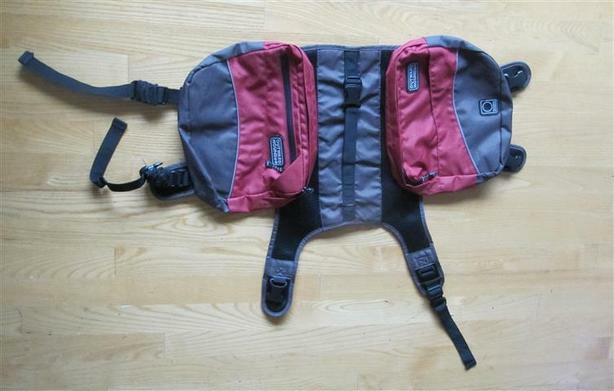 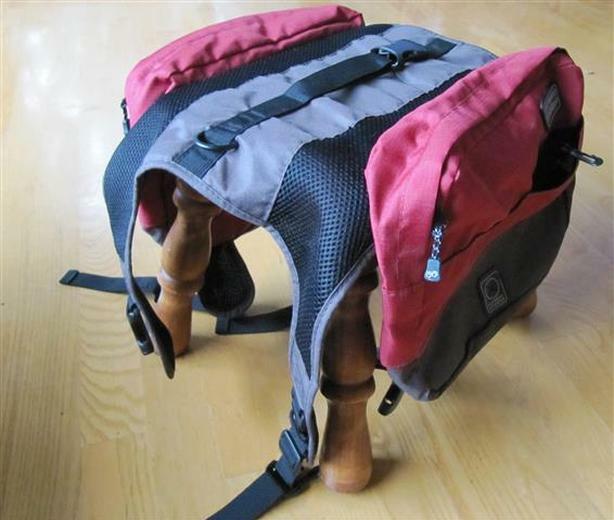 Outward Hound Quick Backpack by Kyjen. 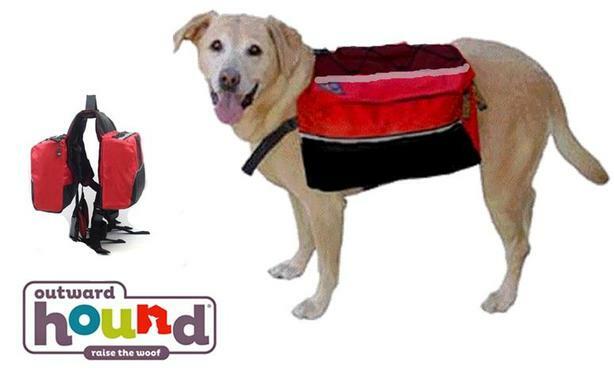 The quick release dog backpack provides maximum comfort and convenience for your dog when hiking, camping or just on the go! 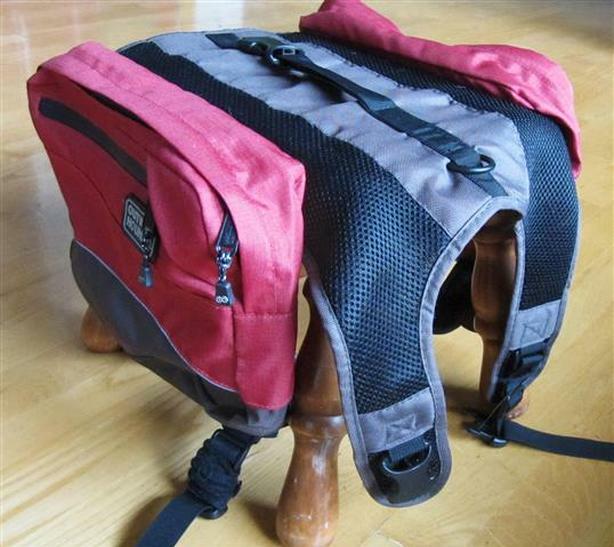 This custom designed backpack is easy to remove or reattach during rest stops. 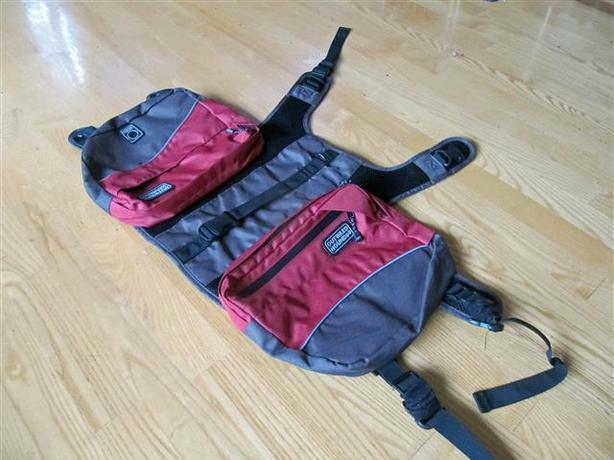 The superior design features storage pockets, extra strong nylon durability, and easy to access to pack's contents.